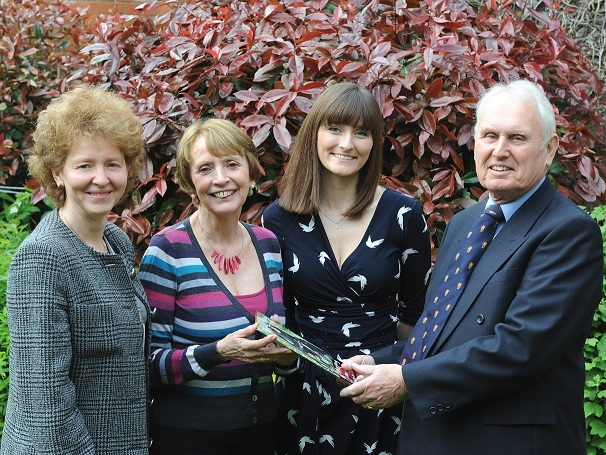 A well-known Shrewsbury legal assistant has retired after almost two decades with a leading local firm. John Pollard has stepped down from the private client department at Wace Morgan Solicitors, which has three offices in Shrewsbury. He was a member of the wills and probate team, specialising in Inheritance tax planning, Powers of Attorney, administration of estates and trusts and also helped clients with their annual income tax returns and capital gains tax problems. Before joining Wace Morgan he was well-known in Shrewsbury from his 30-year service with Barclays Bank, where for 24 years he was manager of the bank’s trustee department. “Throughout my time with Wace Morgan I have received excellent support and co-operation from the partners, solicitors and other staff. They have been wonderful people with whom to work and I thank them all most sincerely,” he said. Cricket will play a big part in his retirement plans as John, who lives in Shrewsbury with his wife, is a former playing member and chairman of Shrewsbury Cricket Club. He received life membership a few years ago and is also one of the four trustees of the club so will be attending more games, as well as playing bridge and spending time on holiday in France. Diana Packwood, managing partner of Wace Morgan, wished John well in his retirement and thanked him for his loyal service to the firm. “John has been a well-respected part of the business community in Shrewsbury for 50 years, during his time at Barclays and with us, and we hope he now enjoys a well-deserved retirement,” she said.